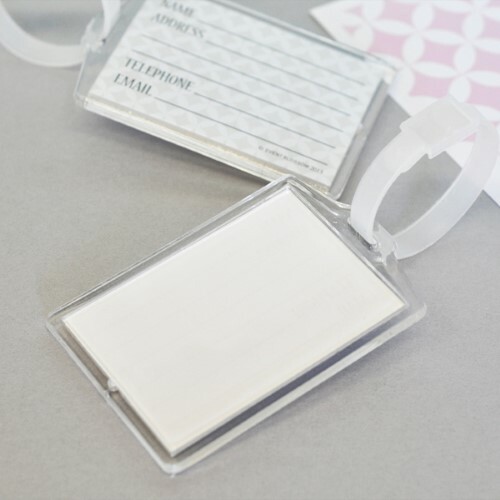 Whether you're whisking loved ones away to your destination wedding or instilling wanderlust in your party guests, these DIY Blank Acrylic Luggage Tags can be completely customized to complement your special event. Embellish them with your favorite decorative accessories for an exciting party favor that is just as unique as you are! Each Acrylic Tag includes a contact information card that you can use or replace with your own creation.